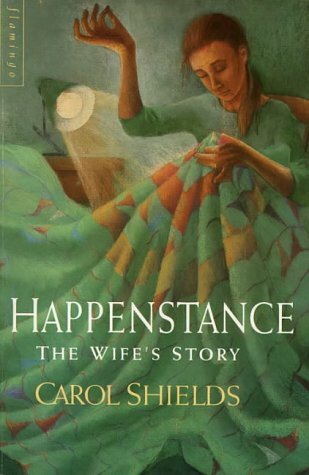 by Carol Shields | Literature & Fiction | This book has not been rated. From Amazon: "These companion novels -- by turns touching, compassionate and humorous -- tell the stories of Jack and Brenda Bowman. In all the years of their marriage they have hardly ever been apart. In THE WIFE'S STORY, Brenda, now forty years old, and who has been surprised to discover a source of creative energy, is about to spend a week away from their home in a Chicago suburb to attend a craft convention in Philadelphia. It is her first trip alone. Removed from her familiar environment, all the gathering emotions that have unsettled her life over the last few years are focussed and bring her to a crisis. Brenda is vulnerable in a strange city. She is also ready to grasp whatever experiences come her way. In THE HUSBAND'S STORY, back in Chicago, Jack faces his own crisis. It is the first time he has been left to cope on his own. He is immobilised by self-doubt, beginning to question his worth and the value of his work as a historian. Suddenly, in that one week, his world falls apart. He has to deal with an attempted suicide, a marital breakdown and, not least, their two difficult children. In the process, he manages to work out his feelings and to learn something about himself." Lent to a good friend, I hope you'll enjoy it. I haven't read this book yet, and I am curious to see what you think of it!